The first piece of advice any celebrity, reality TV star or columnist will tell you is, ‘Don’t read the Facebook comments’ and boy have I now had a taste of how vitriolic people can get online. After an incredibly relaxing and rejuvenating three days alone in Byron Bay, I recently penned a piece for news.com.au about why I love holidaying without my husband. I made it pretty clear that I am very much into said husband, but his penchant for loud music, drinking sessions and late nights doesn’t always gel with my sunrise hikes and vegetarian feasts. We pride ourselves on maintaining our independence and both recognise that the occasional few days apart is a boon for our relationship. Well, The Internet did not like that. 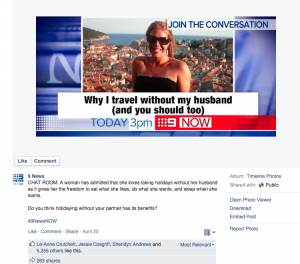 The story popped up in the news.com.au Facebook feed and a cursory glance at the comments made it pretty clear that a lot people were disgusted that two married people would ever contemplate time apart. “At best your relationship is doomed. At worst you’re just selfish,” one poster spat. 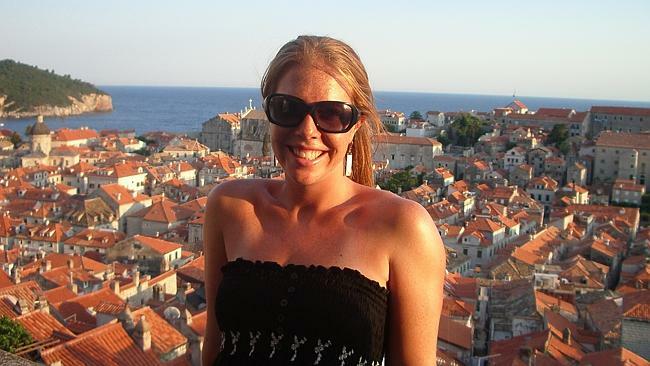 “While you’re away, your man’s off nobbing the neighbourhood,” another quipped. 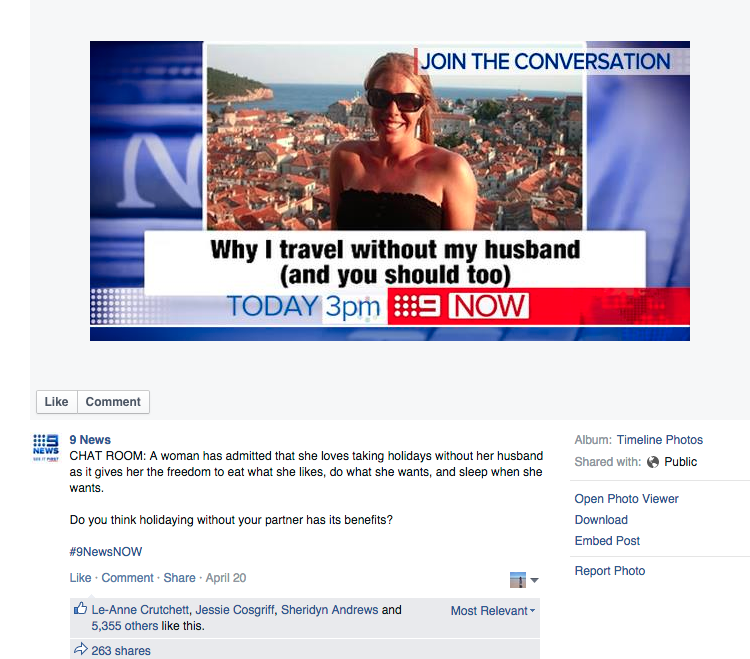 Soon Channel Nine got hold of the story and people I knew started tagging me in comments as they defended me against the small-minded people who felt they had the right to dissect my relationship. Hundreds of commenters kept the debate going about whether my marriage would last and whether I ought to just get a divorce now if I couldn’t holiday with my husband. Apparently the fact I’m dog ugly has a lot to do with why he wouldn’t want to holiday with me – thank god I found that out now. All this time I’d been thinking my husband actually liked me! Of course, this was a small sample of the online hate that some people are subjected to every day, and I’m reminded of Monica Lewinsky’s TED Talk about public shaming. She shares how the public slayings that followed revelations of her affair with US president Bill Clinton made her suicidal. Now she’s leading a public campaign to stop the online haters in their tracks. She calls on us to post positive comments and report online abuse. I’ve never been much of a Facebook commenter, especially about inflammatory issues as I figure that commenting simply stokes the fire. 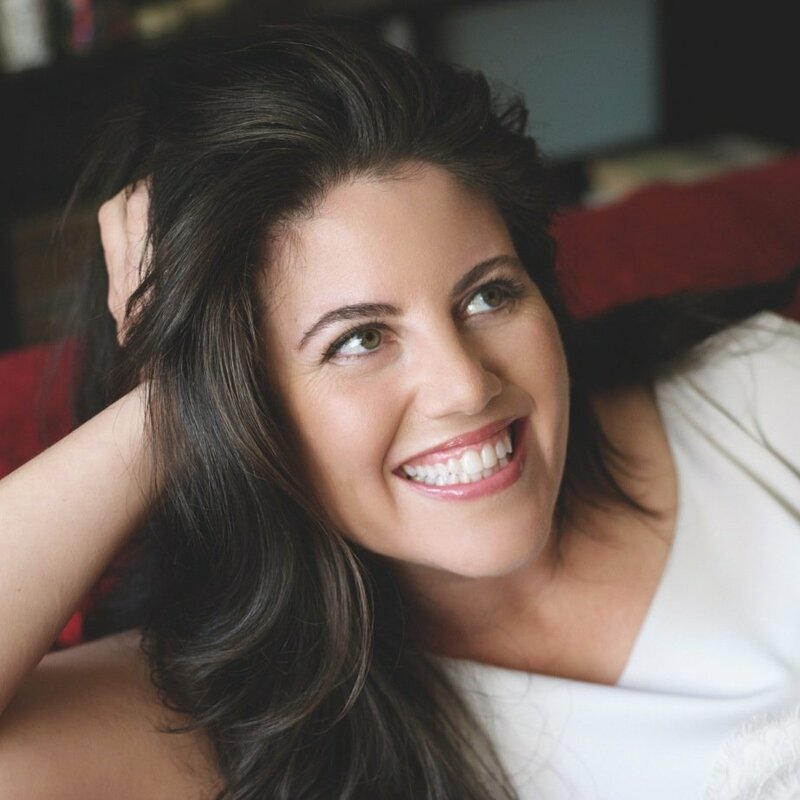 But Lewinsky reminds us that the only way we can drown out the haters is by showering them in love – and maybe saying nice things online is just the way to do that.